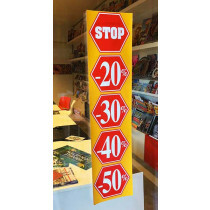 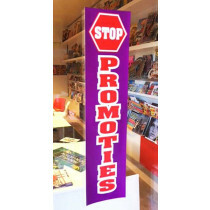 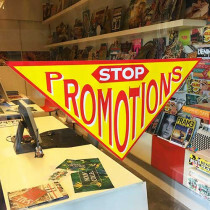 Poster STOP PROMOTIES L20 H82 cm. 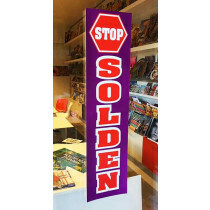 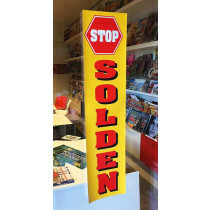 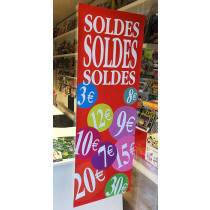 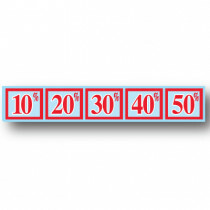 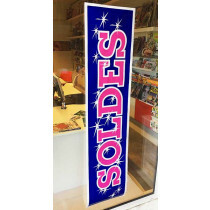 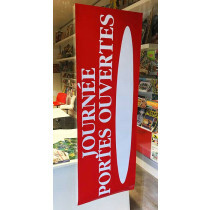 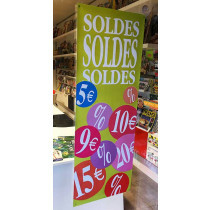 Poster STOP SOLDEN L20 H82 cm. 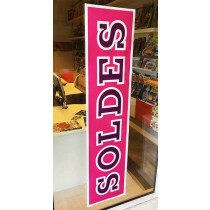 Poster SOLDEN L20 H82 cm. 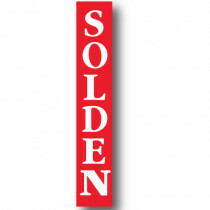 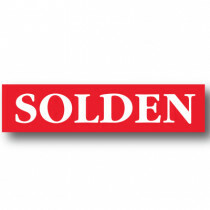 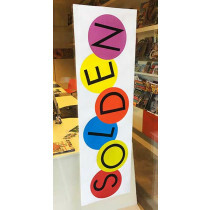 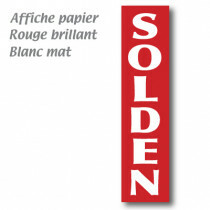 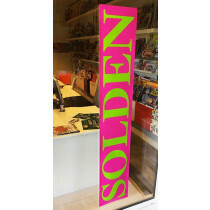 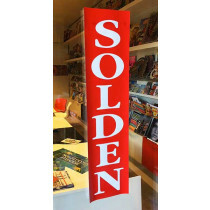 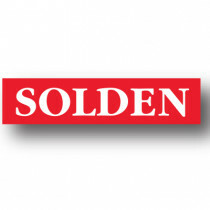 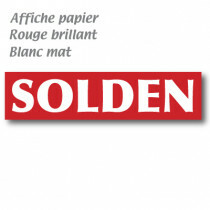 Poster "SOLDEN" L168 H40 cm. 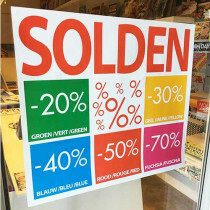 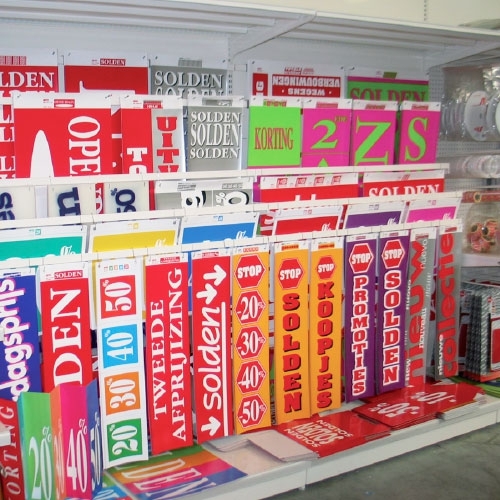 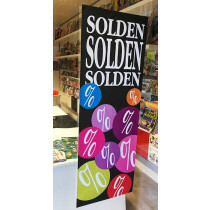 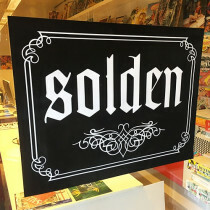 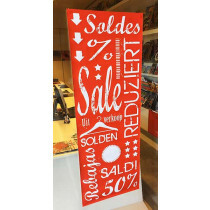 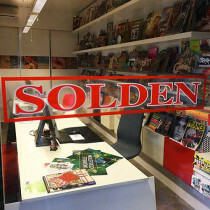 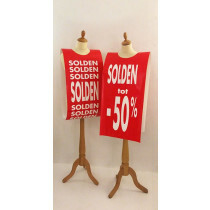 Grote affiche, SOLDEN, 176 x 30 cm. 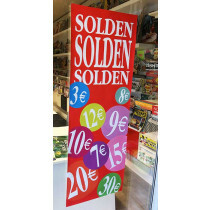 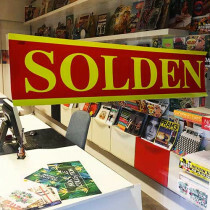 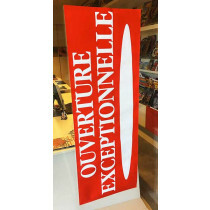 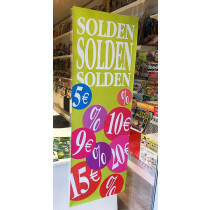 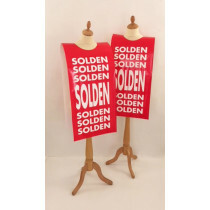 Affiche SOLDEN, 86 x 20 cm. 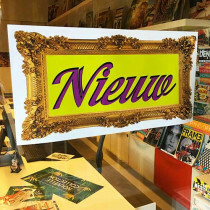 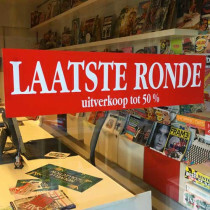 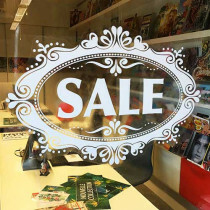 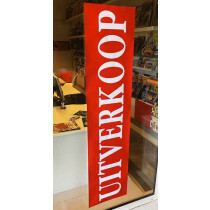 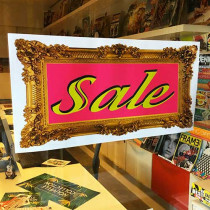 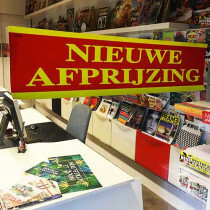 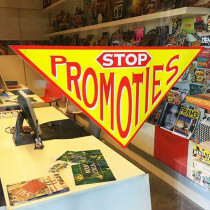 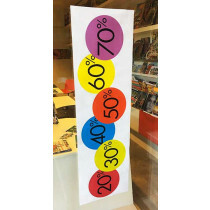 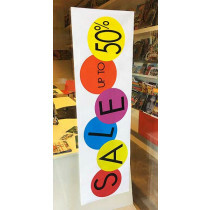 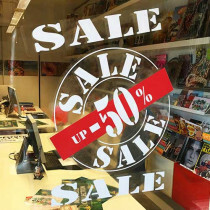 Affiche TWEEDE AFPRIJIZING, 86 x 20 cm. 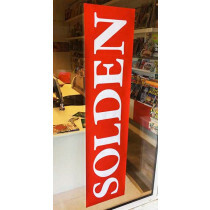 Clear vinyl "SOLDEN" L 95 H17 cm. 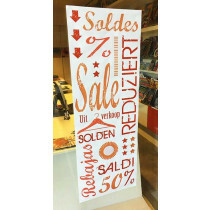 Vitrofanies, %, 97 x 17 cm. Clear vinyl "PROMOTIES" L 95 H17 cm.